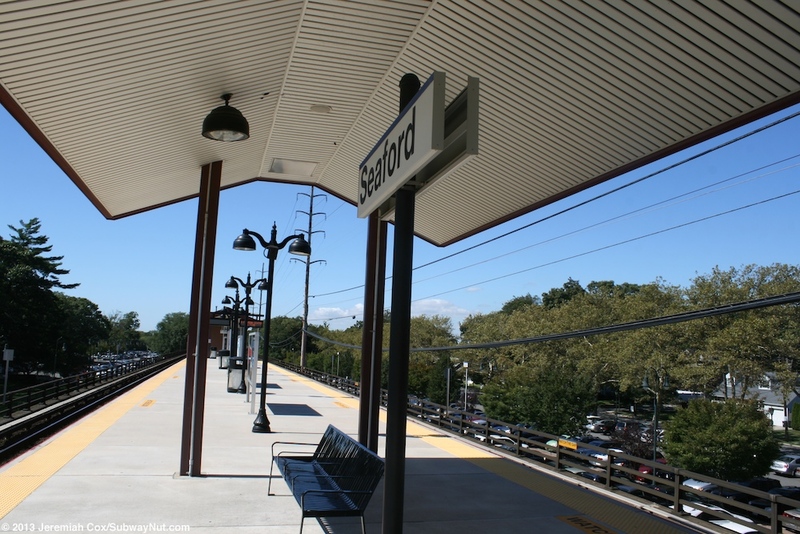 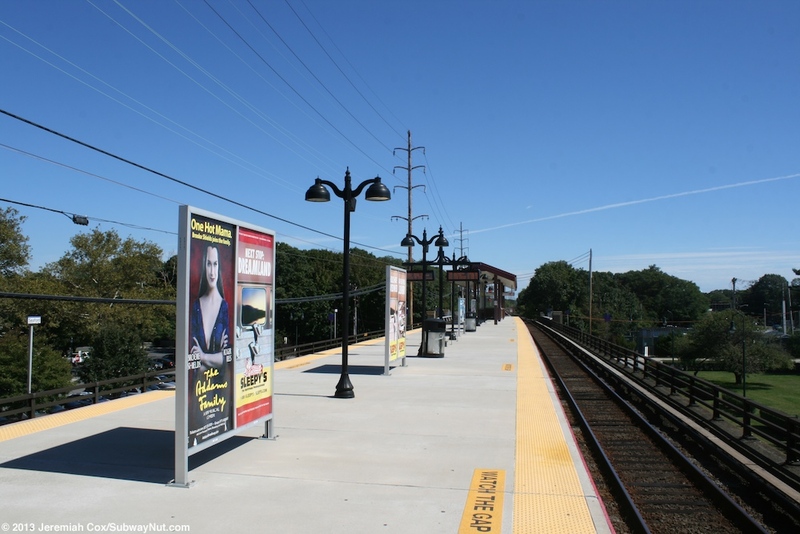 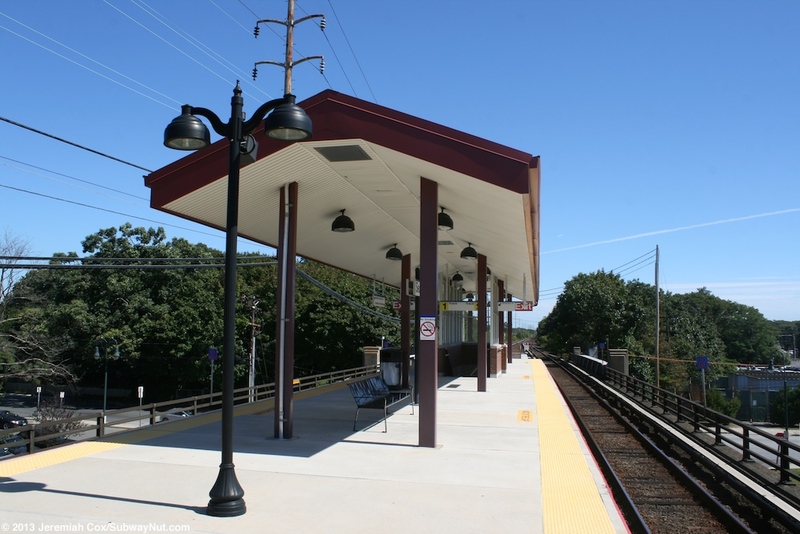 The current Seaford Station opened on October 22, 1968 during the same project that raised the Wantagh Station. 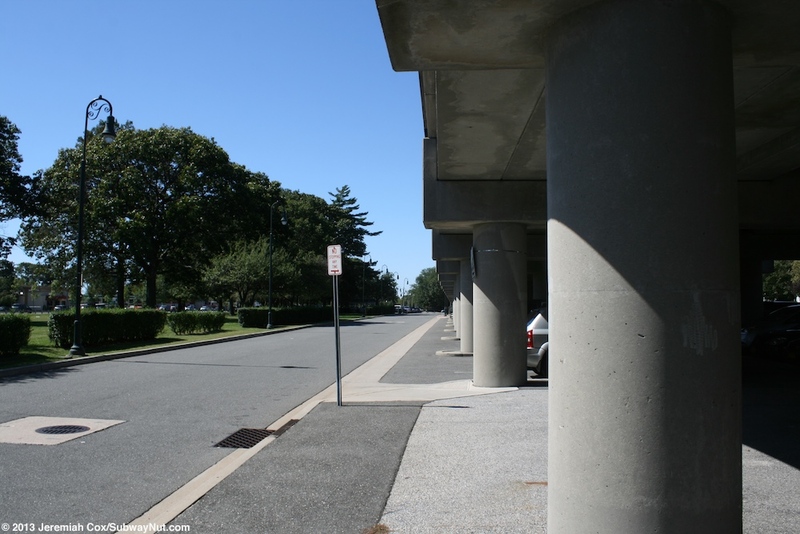 A groundbreaking ceremony was held on August 25, 1966. 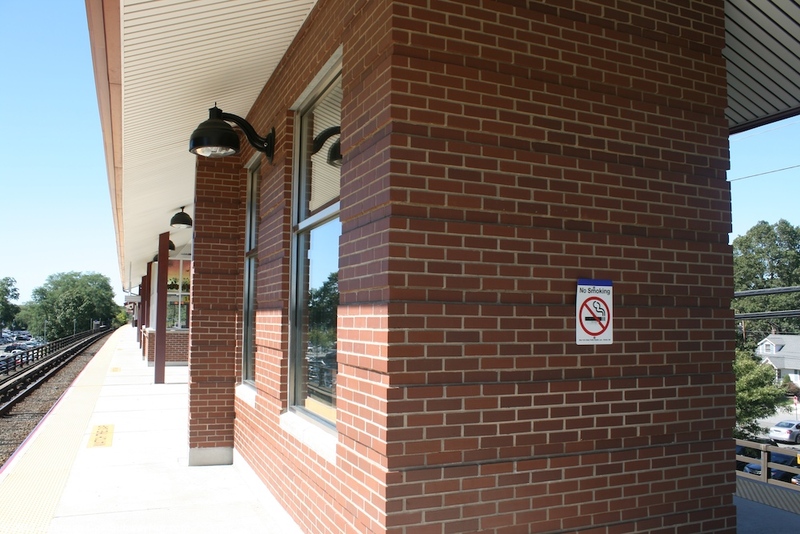 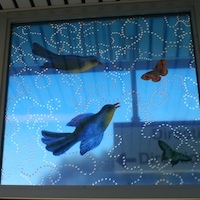 The station house waiting room was subsequently renovated dedicated in September 2002 and the station platforms were completely rebuilt with an elevator added and new canopies in renovations that were finished on July 31, 2009. 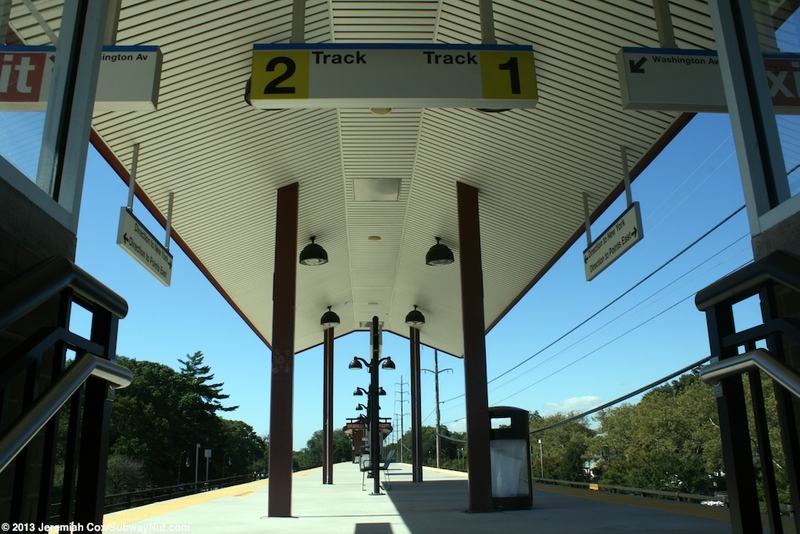 The renovated 12-car island platform for the two track line contains three sections (one towards each end and one in the middle) modern gabled roof canopy that has a wide underside but is held up by small red support beams (along the edge of each track). 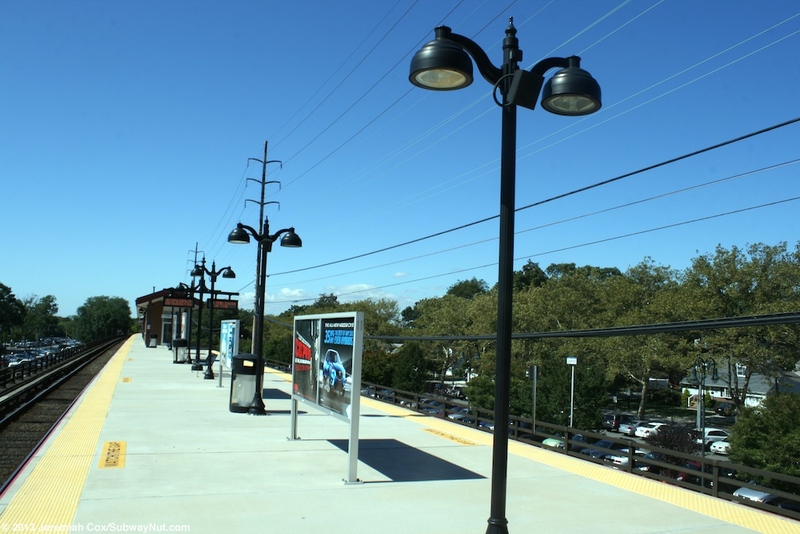 There are modern black lampposts along the rest of the platform. 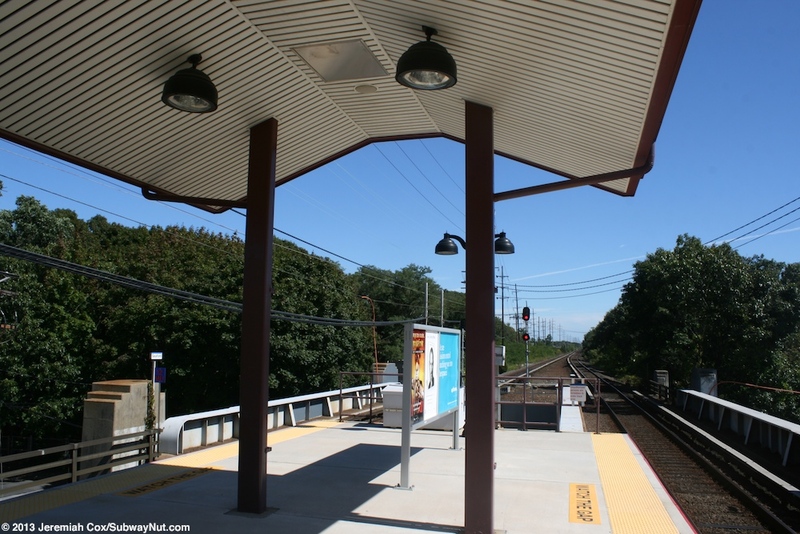 The station is just north of Sunrise Hihgway with parking interrupted by a town green with a gazebo in the middle of it and runs from Washington Avenue to Jackson Avenue. 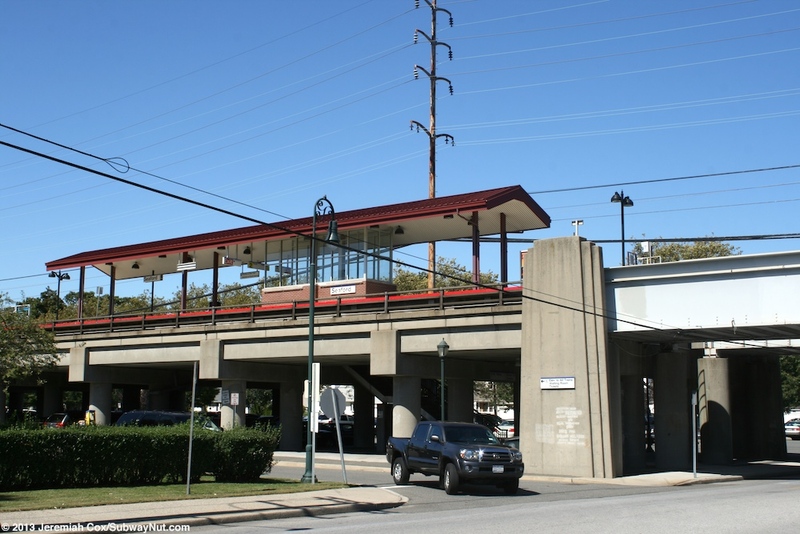 A small parking lot separates the station from Brooklyn Avenue parallel to the north tracks. 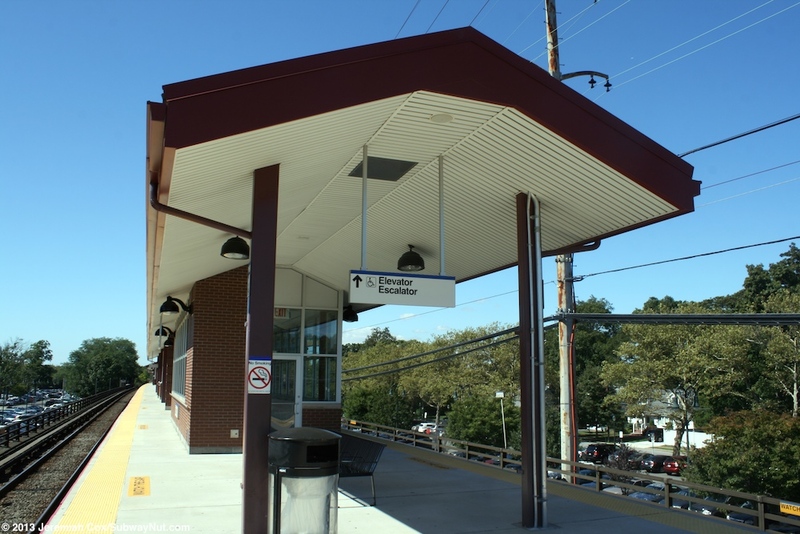 The Washington Avenue end has a staircase only form the east side of the street because the platform ends before it finishes crossing over this street. 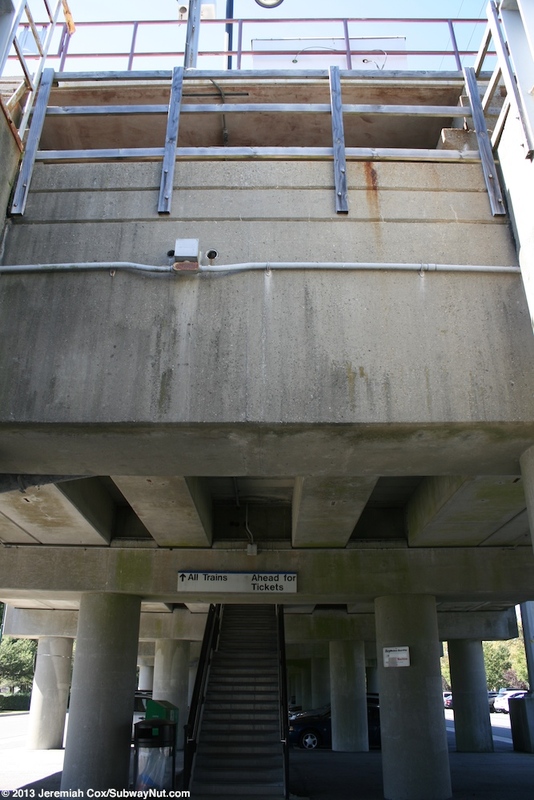 Jackson Avenue has the platform directly above it (it extends a little east beyond this street) and staircase down to each side of the street. 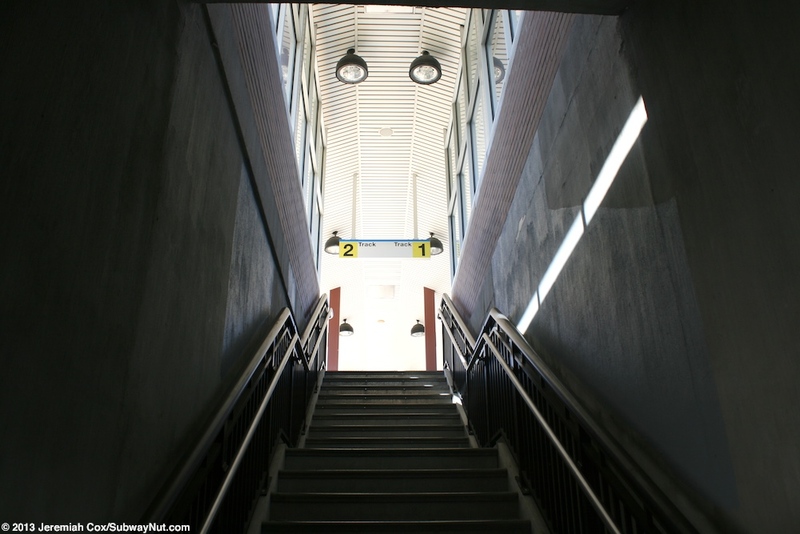 The east staircase splits at an intermediate landing into two staircases. 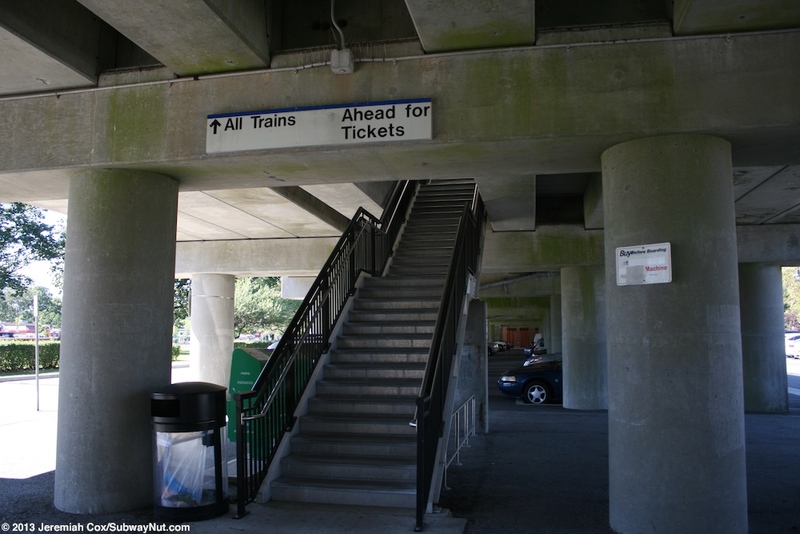 The staircases all brick bases with windscreens extending all the way up to the platform canopy above them. 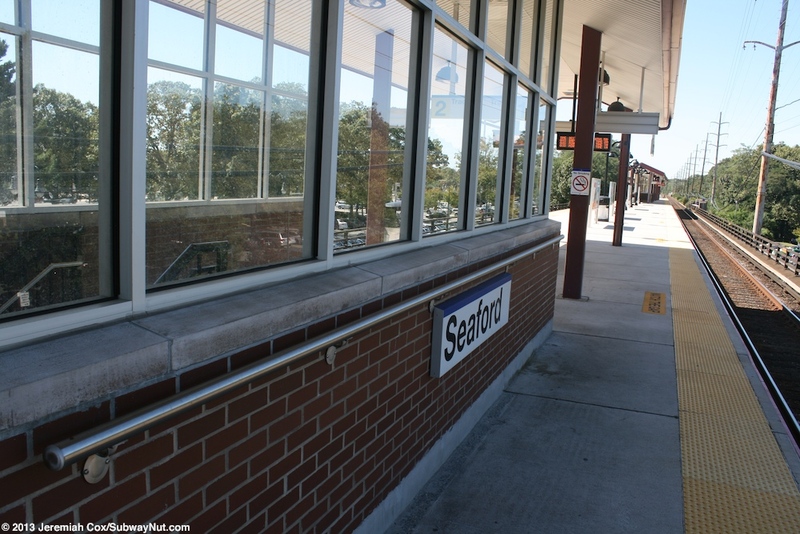 Directly under the elevated structure in the middle of the platform is the small brick Seaford Station house. 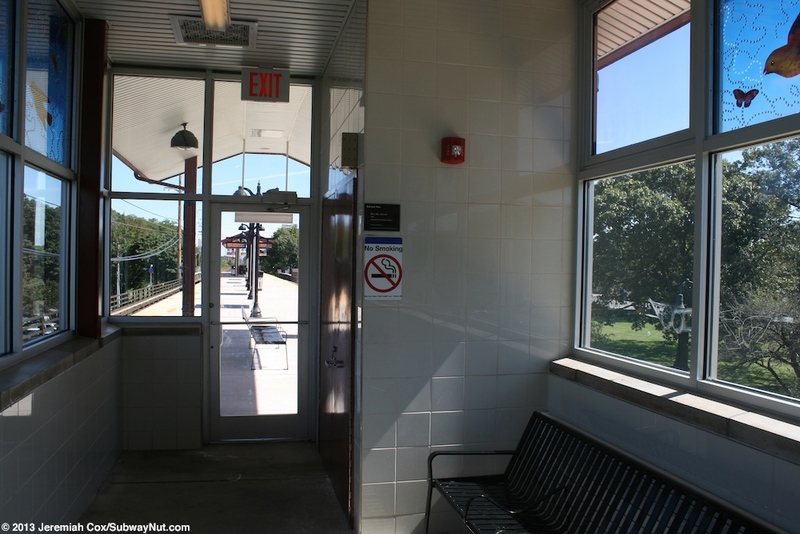 It is nearly identical to Wantagh's and contains blue base with a white top walls, restrooms and a completely closed ticket window. 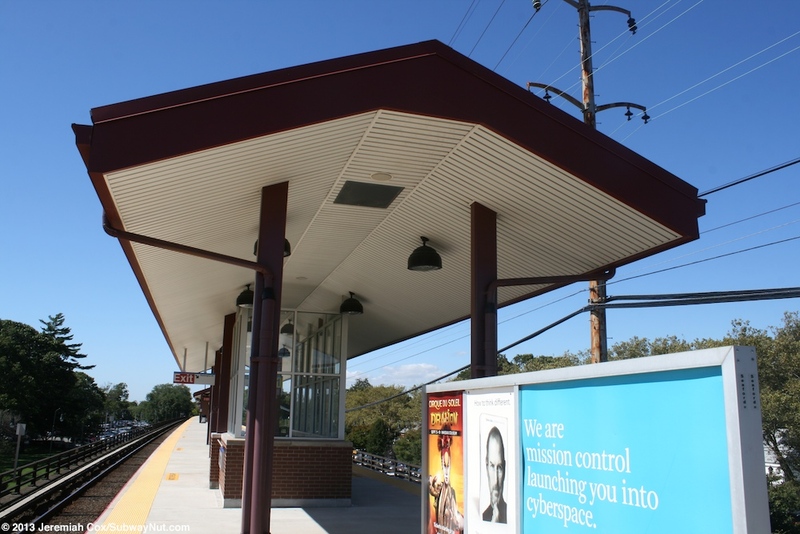 The station should be kept open all day. 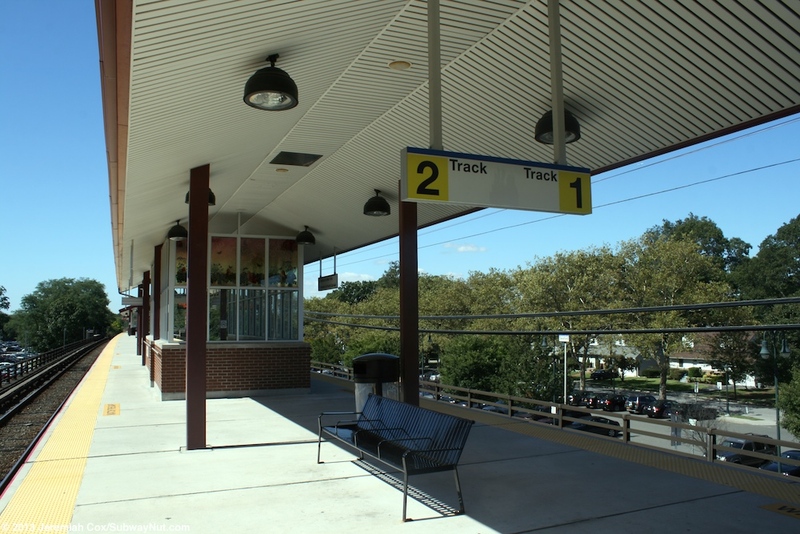 On the platform directly above is the on platform waiting area. 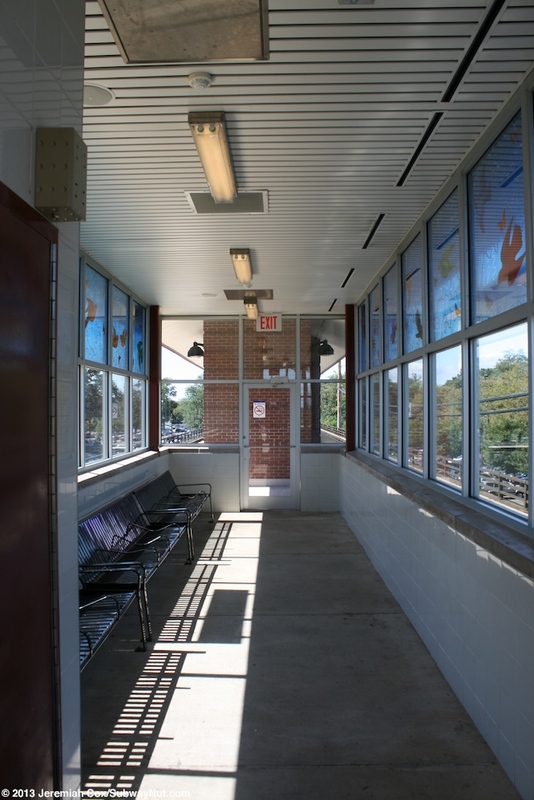 This small, enclosed shelter has brick and walls like the staircase windscreens. 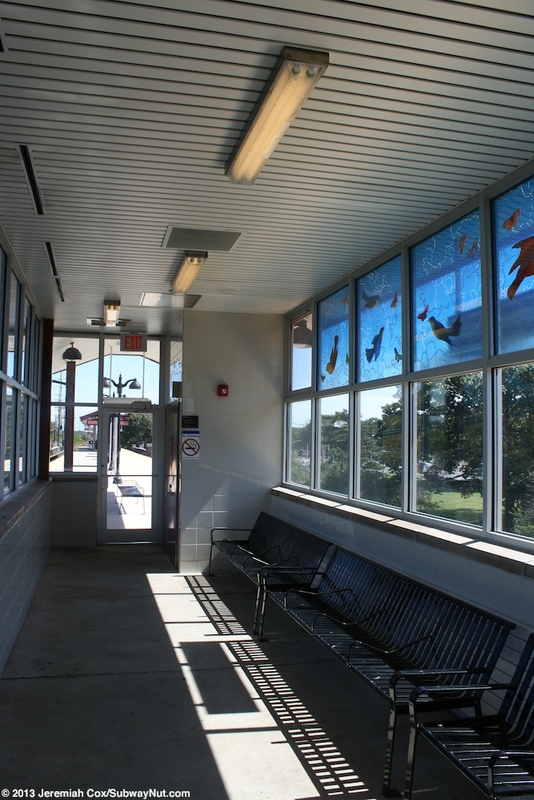 Inside are the usual benches and above the outside windows is Blue Sky Pursuit on the windscreen's glass. 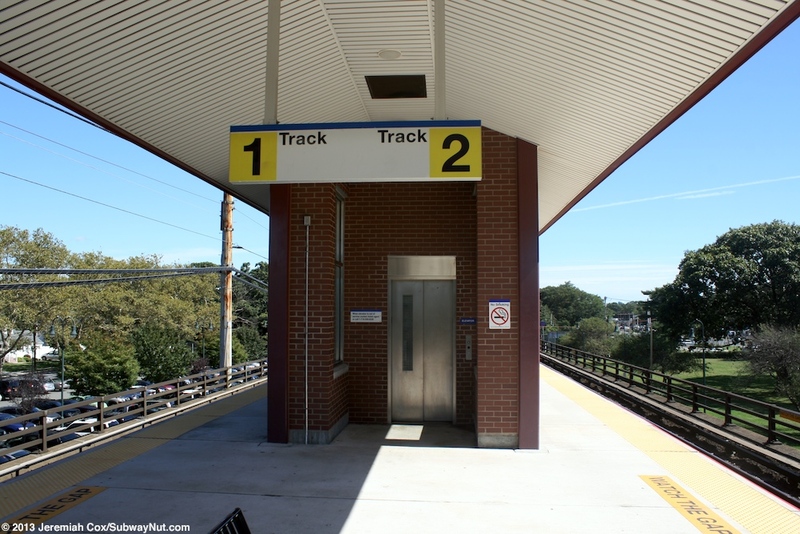 Just west of the station house is the elevator installed during renovations in a brick enclosure and just beyond it the usual staircase/up escalator to the platform.